The alternative-rock group Livid Lover has released a new LP album, “Don't Worry, I'll Always Love You... and of Course... Mess With Your Head.” The full-length record comprises nearly a full hour of highly textured, evocative rock music in 11 original tracks. It has been published as an independent release without the interference of the corporate music industry. 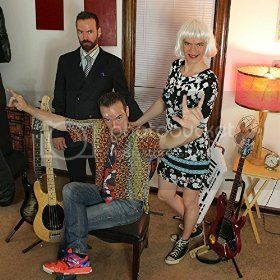 Integrating elements of post-grunge, alt-rock, shoegaze and much more, “Don't Worry, I'll Always Love You...” from Livid Lover is a expansive, immersive rock experience that any fan of underground rock music can get lost in. Livid Lover cites as main artistic influences Jeff Buckley, the Cure, Trent Reznor, Tool, Smashing Pumpkins, the National, Sia Furler, Teagan and Sara, and Pink Floyd. The sound of “Don't Worry...” has notable elements of each of these (the operatic composition style of Pink Floyd, the emotional access of Jeff Buckley, and the patient spaciousness of Smashing Pumpkins, for instance) which combines to form a multifaceted whole with moments of both hard and soft extremes. This makes Livid Lover's new record hard to nail down, but one of its chief charms is that it doesn't lend itself well to categorization. Part of this, too, is the earnest and unadorned singing style of singer-songwriter Blake Nolan Hanson (also of Halo Minor). His articulate, yet passionate singing conveys all the meaning with which he has infused his very deliberate lyrics, and does so in tones reminiscent of John Doe (X) Brandon Boyd (Incubus) and Jeff Buckley. This careful balance results in high-impact, refreshingly unassuming rock music that the listener can take as seriously or casually as he or she may like. It is accessible to nearly everyone who enjoys a good blend of hard and soft, loud and laid-back alternative rock. Like its title, “Don't Worry, I'll Always Love You... and of Course... Mess With Your Head” can be as complex or as simple as the music fan prefers. Were it liquor, one could call it smoked cognac, or just rye whiskey. 'Unique' (not to say 'weird') describes Livid Lover's sound fairly well – a trick nobody has perfected. Hanson knows this and respects the value of it, too. “Don't Worry, I'll Always Love You... and of Course... Mess With Your Head” by Livid Lover is available beginning Aug. 22, 2015.